The BIG Football Question: Will Gerard Houllier Drag Aston Villa Down? 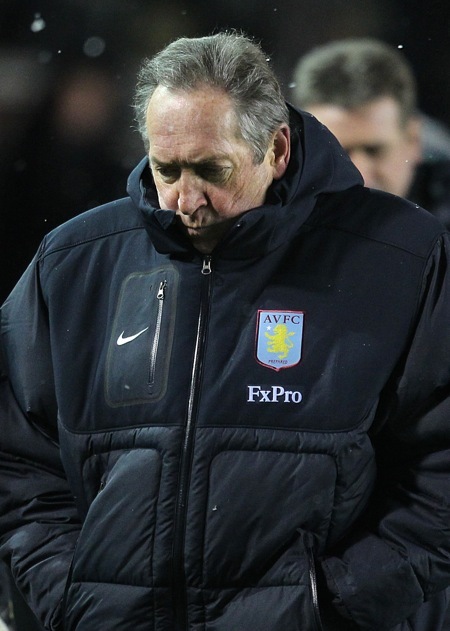 Gerard Houllier, a man of near-pensionable age whose default mood is ‘dejected’, is leading Aston Villa into a dark place called the relegation zone. Villa haven’t won a game in a month, and that was a last-minute win at home against Blackpool (on Nov 1o) – it’s hardly the form of a club with European football on its mind; right now, as Houllier admitted after last night’s abject 3-0 loss at Anfield this week, survival is Villa’s only priority. They lie only two points above the drop zone. On one hand, Houllier has won plaudits for blooding Villa’s youngsters in the first team, but in light of how busy the medical staff at Villa Park have been in recent months, what choice has he had? And signing free agent Robert Pires, who has slowed down to Jan Molby walking pace these days, was hardly a progressive move, even if there is some value in Pires passing on his experience to the likes of Marc Albrighton and wee Barry Bannan. Swapping John Carew, whose heart left the club at roughly the same time as Martin O’Neill sped away from the training ground, for West Ham’s Frederic Piquionne would give Villa more pace (certainly) and edge (maybe) up front, but I don’t see how it’s going to arrest Villa’s slide down the table. The audacity of hope: What could possibly go wrong? 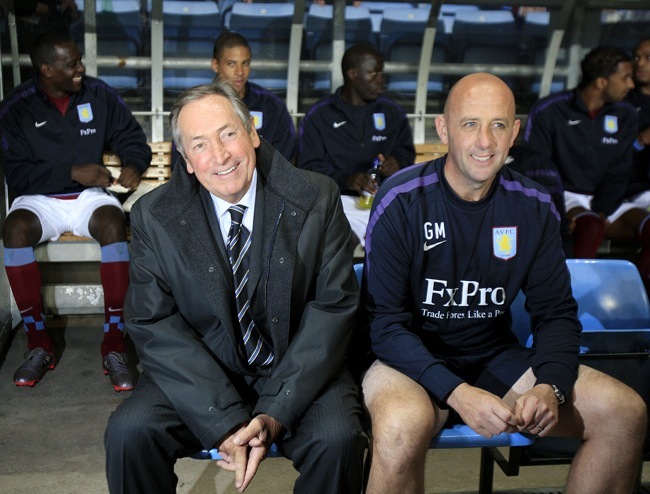 I’m really worried for Villa that Houllier is exactly the opposite of the vibrant character needed during an icy spell. After only a couple of months in the job, the Frenchman’s body language already tells of a man who lacks the energy and stamina (to be frank and a little callous, this is a man who survived emergency heart surgery) to steer the club back into the top half of the Prem table – and lest we forget, Villa finished sixth in the league last season. In terms of get-up-and-go, the difference between Houllier, 63, and dynamic young managers like Ian Holloway, Owen Coyle and Roberto di Matteo is stark. In Houllier’s defence, he has had little luck with injuries, as mentioned above, and thank God there are at least three worse teams than Villa in the Prem this season – I really can’t see them going down, no matter how gloomy Houllier becomes. But many Villa fans’ fears about Houllier (too old, too much baggage) are being confirmed right now; the lack of good vibrations around Villa Park is worrying. And when Stewart Downing is your best player – as was the case at Liverpool last night – you know something is not right. Houllier speaks of a crisis of confidence at Villa, but he’s partly to blame for that crisis – it’s now up to him to alter the mood at the club. And I’m not sure he has it in him. With the entire league as compressed as it is, any team on a three/four game losing streak will have their slide excaserbated by a dramatic fall down the table. Equally, a few wins on the bounce and everything is rosy(ish) again – see Liverpool for details. Houllier won’t take them down, the players at his disposal are too good, but I’d be surprised if he’s ‘retained’ should Villa finish up in 17th spot come the end of the season.